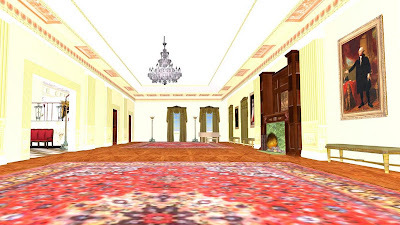 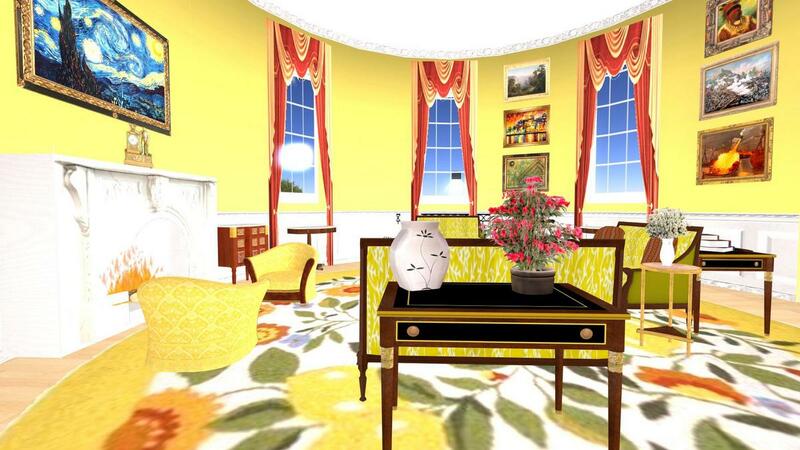 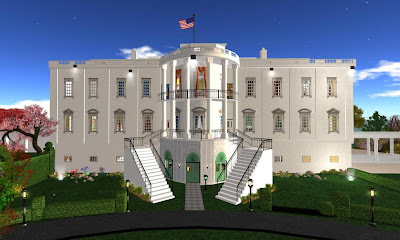 There is a great virtualization of the White House over at Leo's Cove. 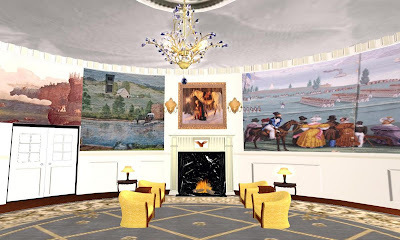 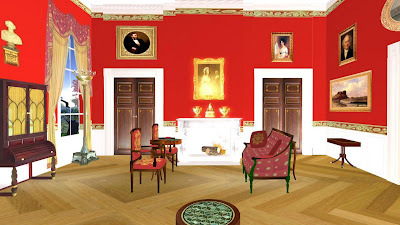 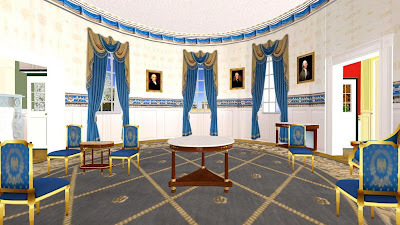 Famous rooms such as the Red Room and the Oval Office are reproduced, along with note cards and explanations that give the history of each. 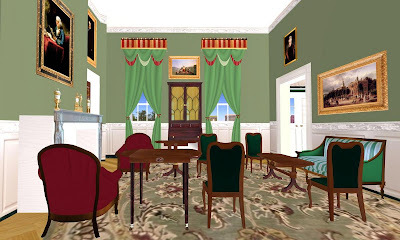 This is one of the best real world builds I have seen in quite some time, and a must-visit destination. 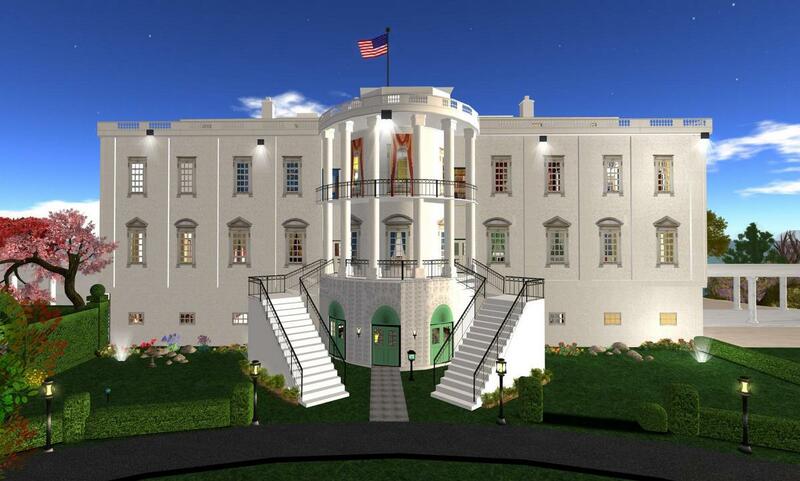 The White House is a large, ornate 1800's mansion and is the residence and office of the President of the United States. 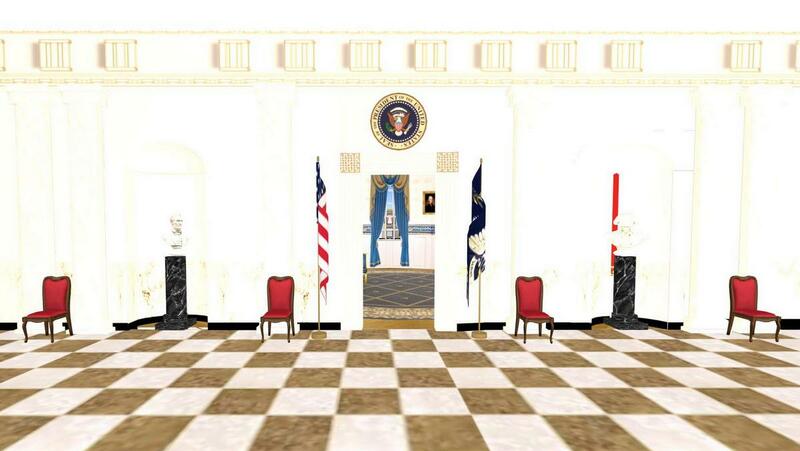 It is now closed to the public, but if you write your congressman (or embassy) you might be able to get a pass. 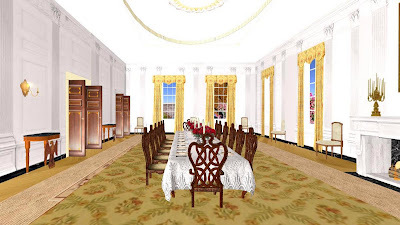 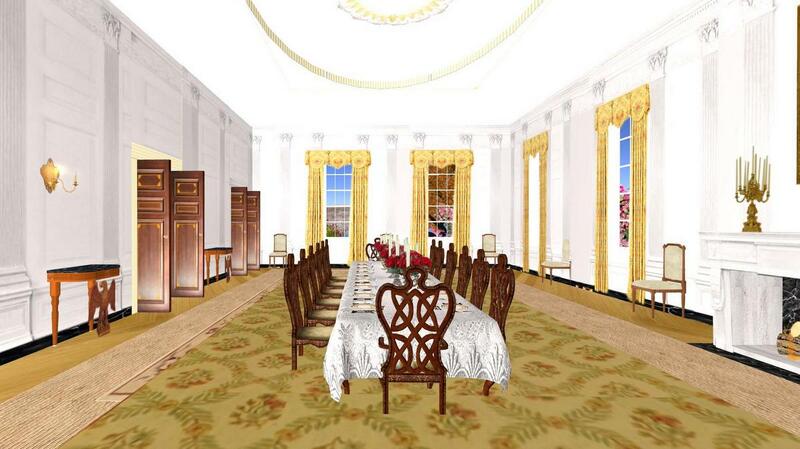 I toured the White House in 2007 and found the build here very well done. 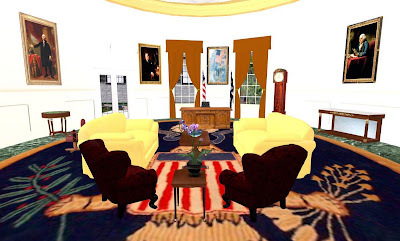 Note you might end up in the middle of some crack in the earth with this SLURL, I am not sure that the sim has adjusted their landmarks yet. 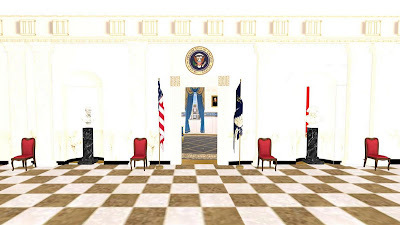 The one I give you puts you inside the main hallway of the White House. 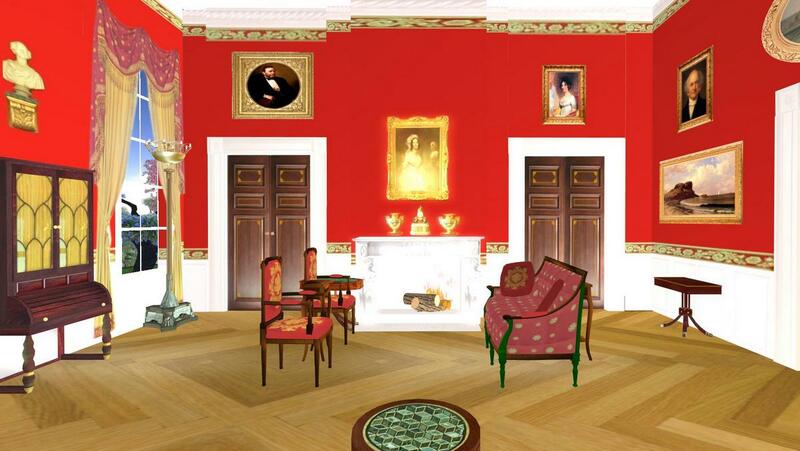 The Red Room, renovated by First Lady Jackie Kennedy 50 yeara ago. ThFamous Oval Office of the President of the United States.